I initially received my BS degree from The Ohio State University to become a physical therapist. After working as a clinician I realized I was passionate about clinical research so I went back to school at Hahnemann University to obtain my Ph.D. 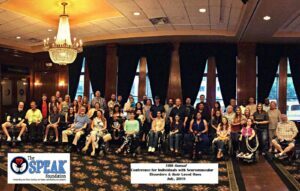 I have worked in neuromuscular rare diseases for the past 10 years. After graduate school, I took a teaching position at The Ohio State University. Again, I quickly learned that my passion was in clinical research. I left teaching to join the Center for Gene Therapy at the Research Institute at Nationwide Children’s to work with leaders in the field such as Jerry Mendell, Kevin Flanigan, and Louise Rodino-Klapac. 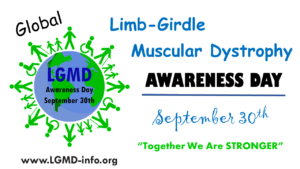 I also work in our neuromuscular disease clinics. 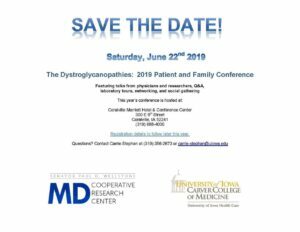 See the basic science and patients come together is an amazing opportunity. I lead a team of researchers looking at outcome measure selection and development. Together with Lindsay Alfano, Natalie Miller and Megan Iammarino we are collecting natural history data on individuals with any form of LGMD to evaluate which measures are important to the patient, reliable and sensitive to change. The natural history data will also serve as an external control so treatment data can be compared to the traditional rate of functional decline. Our work will help speed the clinical trial process by ensuring that data collected accurately represent any real change in abilities. Have the appropriate outcome measure can allow for a shorter and/or smaller trial. We are always looking for individuals with LGMD to participate in our natural history trials. Volunteers are asked to complete activities with their arms and legs, answer questionnaires and let us test their muscle strength. There are very few if any risks to being in our studies and the data generated guide treatment trials. The amazing strides in gene therapy work make it a real possibility that we can dramatically impact the lives of individuals with LGMD in my lifetime. 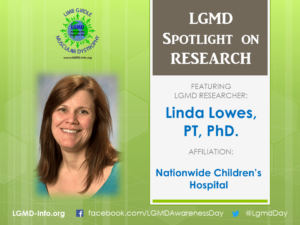 Please contact me at NMDtrialinfo@nationwidechildrens.org We typically test volunteers in Columbus, Ohio but have also set up data collections in communities with a large number of individuals with LGMD or at patient conferences.